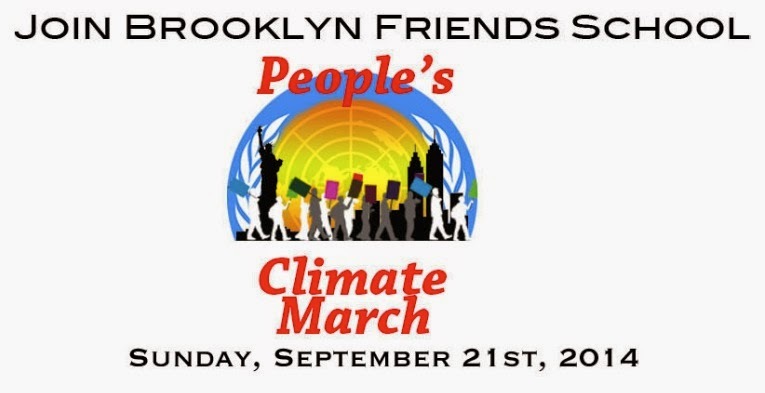 Brooklyn Friends School | BFS Participates in the People’s Climate March! BFS Participates in the People’s Climate March! World leaders are in New York City this month for a United Nations summit on the climate crisis. We’ll take to the streets to demand the world we know is within our reach. Join us at the People’s Climate March on Sunday, September 21st to advocate for sustainable communities and improving the quality of life for all—economically, socially, environmentally—now and for future generations. RSVP by Wednesday, September 17th. 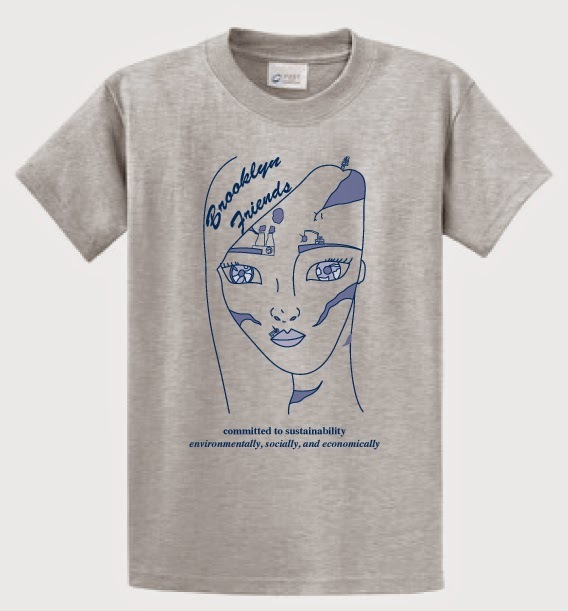 All BFS community members who participate in the People’s Climate March will receive a BFS Sustainability t-shirt with art designed by 8th grader Chloe C. Come get your t-shirt in the Pearl Street Lobby on Friday morning, September 19th. BFS will walk in solidarity with local Quaker schools. We will gather at the Outer Courtyard of Friends Seminary (222 East 16th Street New York, NY 10003) at 10:30am before proceeding to 81st Street and Central Park West at 10:45am. All are welcome to attend an Open Meeting for Worship beforehand from 9:30am-10:30am in the Friends Seminary Meetinghouse. This will not be a chaperoned event. Minors must be accompanied by an adult. Parents are also welcome to participate without their children. If our school has the most #brooklynfriends selfies at the climate march we will win a $5,000 Sustainability Grant! Upload your selfies at the march to Instagram, Twitter, and Facebook with #brooklynfriends and #PeoplesClimate. Please remember to wear comfortable shoes for walking and bring a reusable water bottle. Don’t forget to wear your BFS sustainability t-shirt and whatever other BFS clothing and gear you have available! Otherwise, try to keep belongings to a minimum. Students, parents, faculty, and community members are welcome to attend. For more information and to watch the trailer, click here. 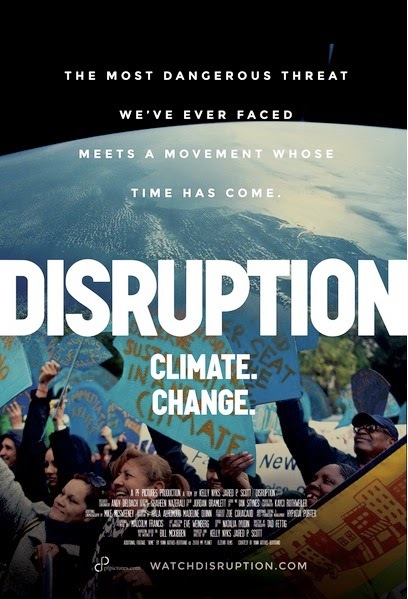 You can also watch it by going to www.watchdisruption.com! A youth-led convergence with an intentional focus on youth power, identity and leadership development. Workshops and discussions by and for teens on up. RSVP here. Submit your own proposal for a workshop here. Logistics courtesy of Green Schools Alliance; programming developed by the PCM Youth Hub. « Self Checkout in the Pre/Lower School Library!